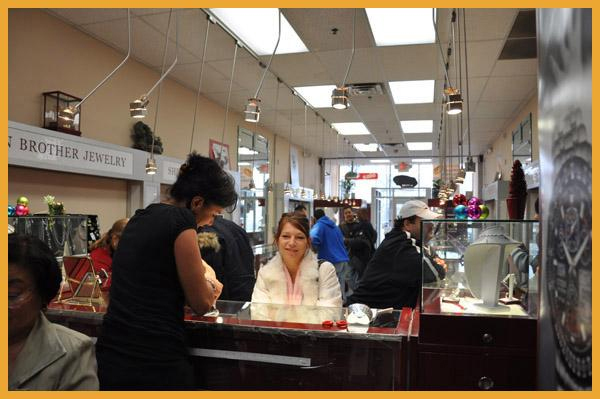 Shin Brothers Jewelers Inc. is a family owned and operated Jewelry business serving the New Jersey and the Tri-state area since 1983. We are committed to bringing you the finest selection of jewelry at the best possible prices. Being a proud member of Better Business Bureau for over 20 years, our quality customer service shines through from the moment you step into our store or enter our website and carries out until your next search for that perfect gift. At Shin Brothers Jewelers, we offer the widest selection of gold, platinum, and sterling silver jewelry with additional options including diamonds, gemstones, and custom designed pieces. If you are looking for something very specific, we will help you look through our selection of jewelry or order you a custom-made piece. If you have a design that you have always wanted to re-create as an accessory, contact us and we would be happy to cater to your needs and make that dream a reality. Have a special gift that needs repair? Depending on the job type, we provide on-site jewelry repair that can be repaired day of. Give us a call or stop by and we can give you an estimate on your repair! Have a watch that needs a tune up? Whether it be a battery replacement, watch tune up, or something you’re just not sure about, we provide watch repair services and provide you with a free estimate for a speedy fix. If you need a battery replaced, we have an on-site watch specialist that is happy to serve your needs, sometimes even while you wait! Come stop by for a free estimate! Want to find that latest trend? We offer selections of the most up-to-date trends in jewelry from customized bangles, Authorized Citizen and Seiko watches, Dancing HeartBeat, and many more. Welcome to the Shin Brothers Jewelers Inc.
We have customers that have been a part of our Shin Brothers Jewelers Inc. family for generations and hope to continue this with generations to come. Our pride lies in our excellent customer service and we appreciate every customer we meet. Our professional staff will be happy to assist you in selecting your perfect items. We personally invite you to shop online in the comfort and convenience of your home while experiencing our personal touch. If you purchase Shin Brothers Jewelers's products and services, we collect billing and credit card information. This information is used to complete the purchase transaction. Shin Brothers Jewelers collects and uses your personal information to operate its website(s) and deliver the services you have requested. Shin Brothers Jewelers may also use your personally identifiable information to inform you of other products or services available from Shin Brothers Jewelers and its affiliates. 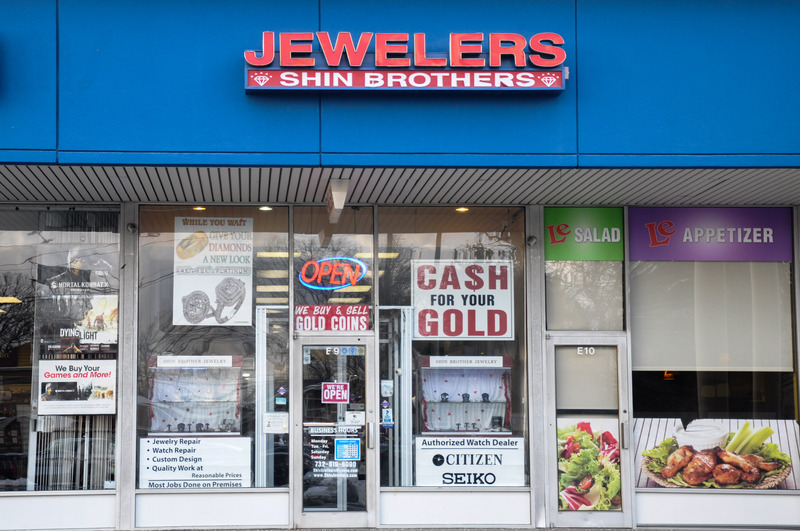 Shin Brothers Jewelers does not sell, rent or lease its customer lists to third parties. Shin Brothers Jewelers may share data with trusted partners to help perform statistical analysis, send you email or postal mail, provide customer support, or arrange for deliveries. All such third parties are prohibited from using your personal information except to provide these services to Shin Brothers Jewelers, and they are required to maintain the confidentiality of your information. Shin Brothers Jewelers may disclose your personal information, without notice, if required to do so by law or in the good faith belief that such action is necessary to: (a) conform to the edicts of the law or comply with legal process served on Shin Brothers Jewelers or the site; (b) protect and defend the rights or property of Shin Brothers Jewelers; and/or (c) act under exigent circumstances to protect the personal safety of users of Shin Brothers Jewelers, or the public. Shin Brothers Jewelers may keep track of the websites and pages our users visit within Shin Brothers Jewelers, in order to determine what Shin Brothers Jewelers services are the most popular. This data is used to deliver customized content and advertising within Shin Brothers Jewelers to customers whose behavior indicates that they are interested in a particular subject area. Information about your computer hardware and software may be automatically collected by Shin Brothers Jewelers. This information can include: your IP address, browser type, domain names, access times and referring website addresses. This information is used for the operation of the service, to maintain quality of the service, and to provide general statistics regarding use of the Shin Brothers Jewelers website. Shin Brothers Jewelers does not knowingly collect personally identifiable information from children under the age of thirteen. If you are under the age of thirteen, you must ask your parent or guardian for permission to use this website. From time to time, Shin Brothers Jewelers may contact you via email for the purpose of providing announcements, promotional offers, alerts, confirmations, surveys, and/or other general communication. If you would like to stop receiving marketing or promotional communications via email from Shin Brothers Jewelers, you may opt out of such communications by clicking on the UNSUBSCRIBE button..